Notes: This plant, looking on the surface like a clover, has neither the individual flowers of a clover nor the appropriate foliage. 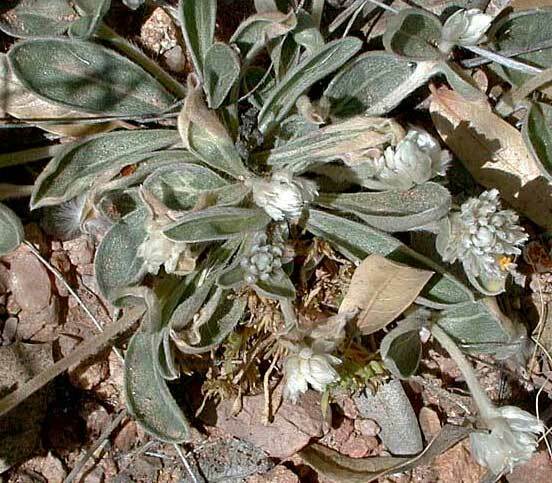 The individual flowers have 5 whitish petals with a greenish midline. 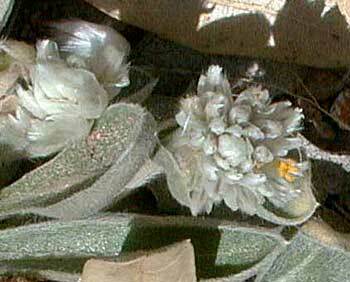 The foliage consists of a basal rosette of lance shaped leathery leaves covered with fine white hairs. 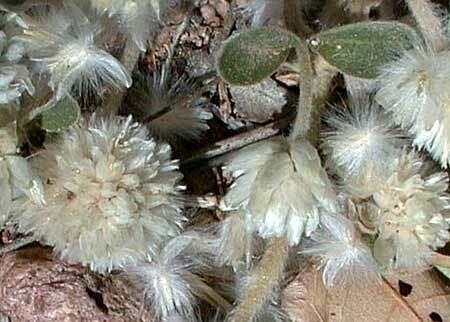 3 species of Gomphrena in Arizona. Tufted globe amaranth plant profile on the USDA Plants server.